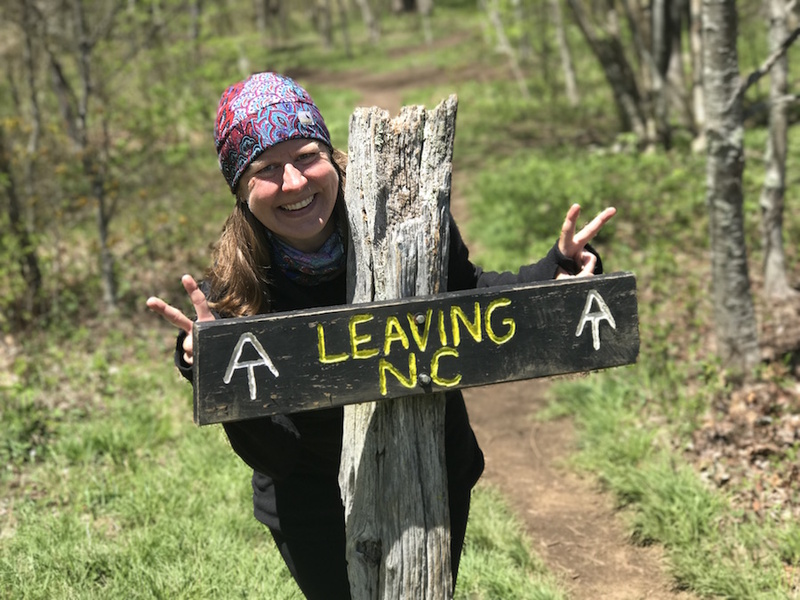 I loved being a woman thru-hiking the Appalachian Trail last year. Yes, I was with my husband, and that was epic, but I didn’t let that take away from the pride I had for myself as a woman. When I was young, and I first heard of the Appalachian Trail, it was only associated with guys hiking it. But here I was – a girl, a women, a chica – doing it along with the guys, and other women as well! 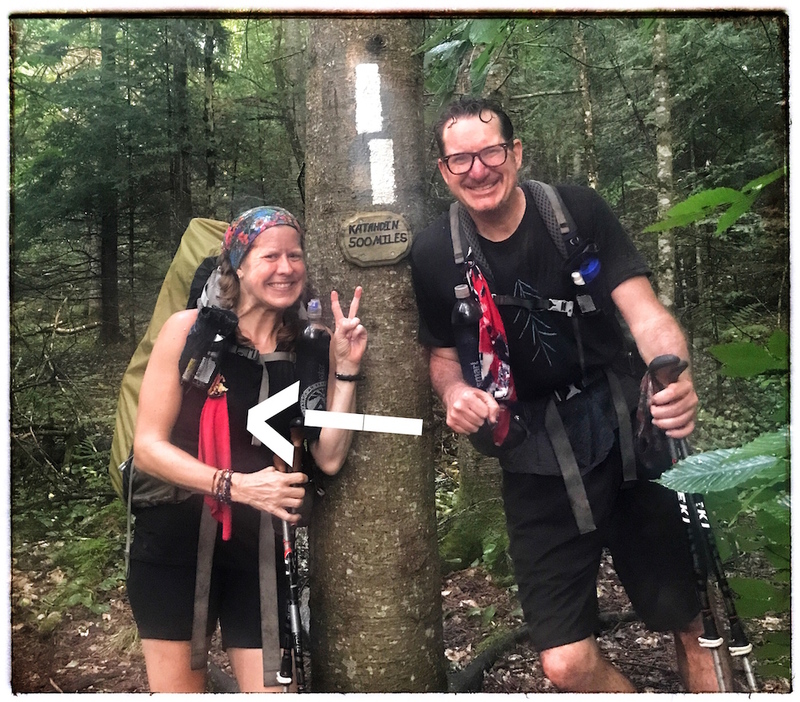 There are more and more female thru-hikers each year, currently about 30%, and I love that it’s on the rise. Who knows, maybe some day we’ll take over the trail? Girl power! 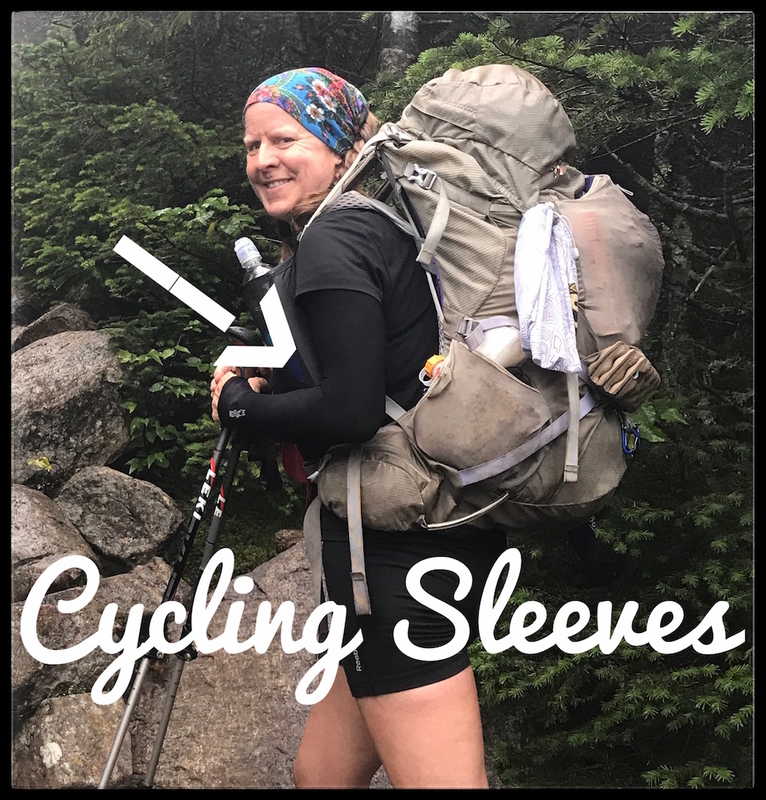 I loved that I thought of these cycling sleeves, shortly after we started our hike. These virtually replaced my need for a separate long-sleeve shirt; I just added them to my short-sleeve shirt! The best part was the convenience of taking them on and off while hiking; I didn’t have to stop and take my pack off like I would for a regular shirt. They worked great. Gave me that extra bit of warmth when it was cold out, and then I could just peel off when I warmed up, and leave my arms bare. Also check out these by Buff. I loved my beanie – it kept my head warm, had an inside-fleece lining around the edge that kept my ears warm, plus it just looked cute (which doesn’t really matter, except that it made me feel good, and every little bit helps out there while living in the wilderness!). 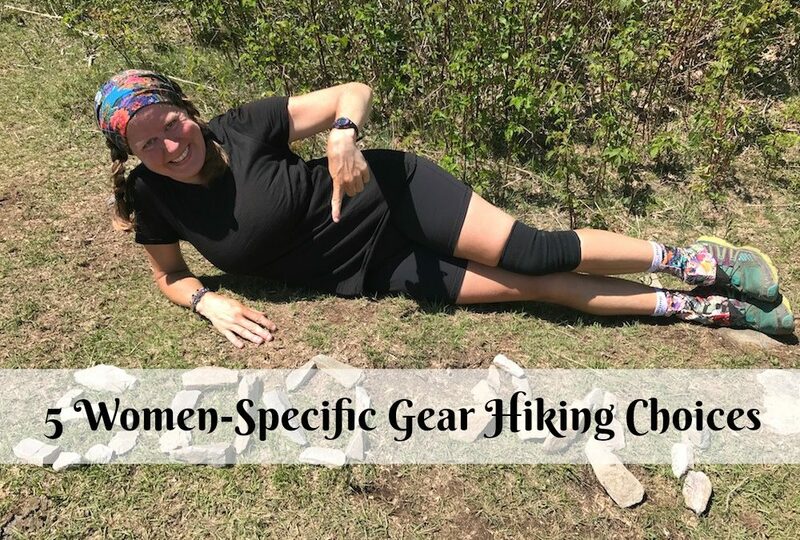 I had the Choukas brand while on trail, but have since found out a fellow woman-hiker SummitShaka makes these similar beanies (she even makes one with a pony-tail hole!). Maybe it’s just me, but my nose tends to run when I get cold, or if it’s even the least bit windy out. One side of this cloth is a sweat-band material which is great for wiping your brow in the middle of summer, and the other side is smoother for your nose. It has stretchy thumb loops so you can wear on your hand and wrap the cloth part around your wrist; but while I was thru-hiking, I attached to my front pack strap with a carabiner. I was a snot-rocket virgin before my thru-hike (snot-rocket is a term for blowing your nose in the wilderness without tissues); however, even with snot-rocketing (which I learned to do like a pro, by the way), I still needed to wipe my nose a bit afterwards, and that’s where this RunninGluv came in handy. When I got to town, I just threw it in the wash.
My gaiters rocked. Not only because I got compliments on them ALL the time, but they really worked to keep debris out of my shoes. I would constantly get rocks, sand, and pebbles in my shoes when I hiked without them. They were also good for tick protection (I had them treated with pemetherin) and they were great for muddy days, helping to keep my socks clean(er). 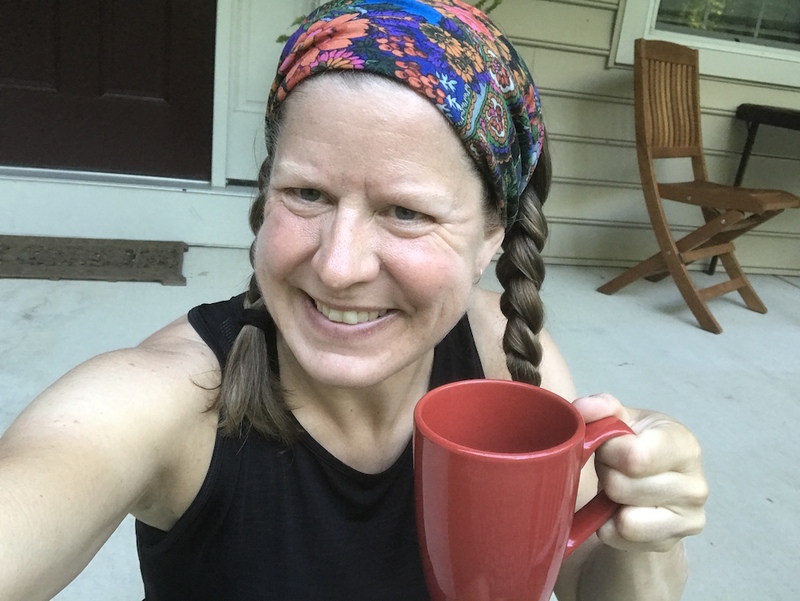 I got them from this Etsy shop owner UltraGam, she makes them by hand, and has this specific eclectic fabric for women Appalachian Trail thru-hikers (how cool is that?). She also makes a matching headband and cycling sleeves. 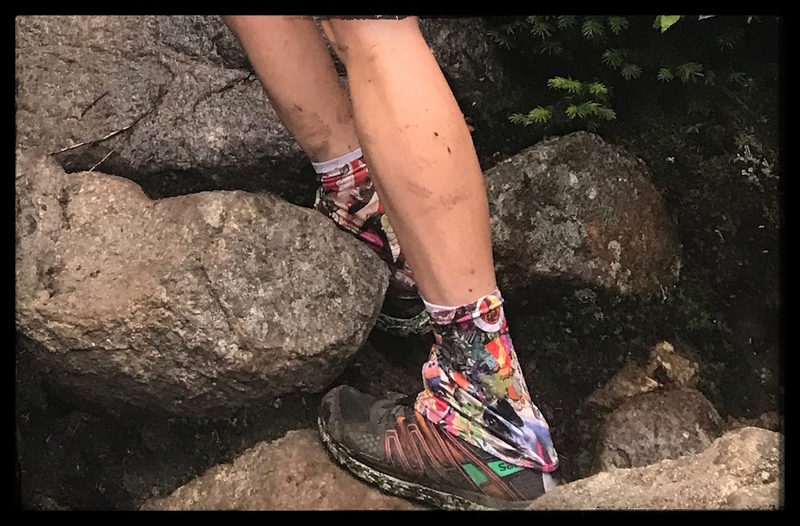 A lot of other hikers swear by the Dirty Girl Gaiters brand. My Buff was the bomb (I know I sound like a broken record, but I truly loved all these pieces of gear!). Not only was it a cool multi-colored design (got compliments on this a lot too), it also served several purposes for me. I wore it every day on my head to keep my greasy hair covered, I could easily pull down over my ears if it was cool out, and I used as a pillow case at night over my air pillow. When it was really cold out, I would wear my Buff as a neck warmer. It also absorbs sweat, keeps the sun off your head, you can dip in a stream and put back on your head to cool down, you can use as a big scrunchie to tie your hair back, you can use as a thin hat, etc. — the options are endless! 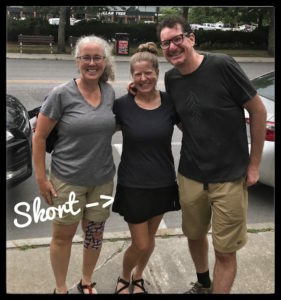 I loved my Athleta skort – wore mainly for my town clothes, but sometimes to sleep in, sometimes to hike in. 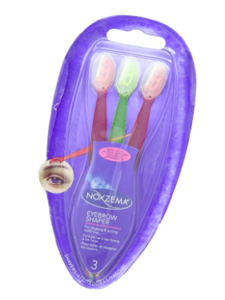 Eyebrow Shaper, I loved this for ease of shaping my eyebrows (and in-between my brows!). I had a tweezers as well, but really like this little tool – one lasted me my whole thru-hike. OB tampons, these worked great for my period. This brand does not have any hard plastic casing or applicators, so really cuts down on trash and weight. Each tampon is wrapped in cellophane, and you use your finger to insert it. There’s a lot of other options out there for women on their periods, which I will cover in my book I’m working on (specifically geared toward women thru-hikers). I was a runner before I was a hiker and I have the arm warmers, runnin gluv, and a pair of Dirty Girl gaiters. All have worked great on my section hikes as well. I got a Buff and I like it but yours is so much cuter! I need to try those eyebrow shapers! Great post! I live in my Macabi skirt! That would be my addition to the list!